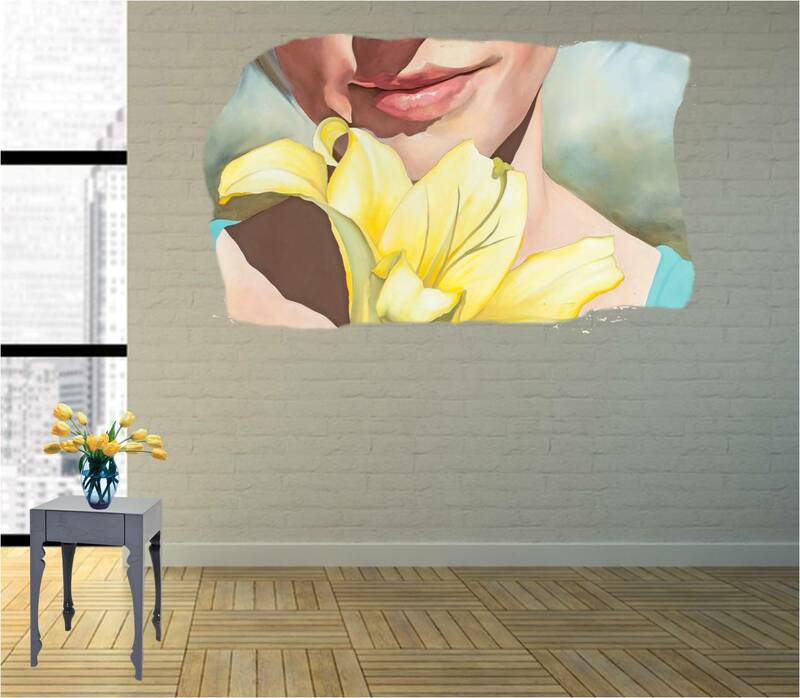 Girl with Flower 24″x14″ Other custom sizes available. Comes with special block mounting tapes for 3D effect, easy and seamless attachment to wall. Have a favorite performer and want a Photo paint Palette? We could create for you, just let us know.